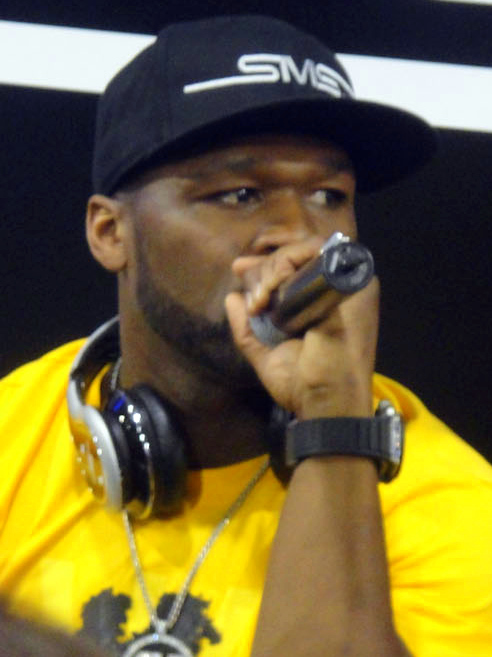 Curtis James Jackson III (born July 6, 1975), known professionally as 50 Cent, is an American rapper, actor, businessman, and investor. Born in the South Jamaica neighborhood of the borough of Queens, Jackson began selling drugs at age twelve during the 1980s crack epidemic. Although he left drug-dealing to pursue a musical career, he was struck by nine bullets in a 2000 shooting. After Jackson released the compilation album Guess Who's Back? in 2002, he was discovered by Eminem and signed by Shady Records, Aftermath Entertainment and Interscope Records.